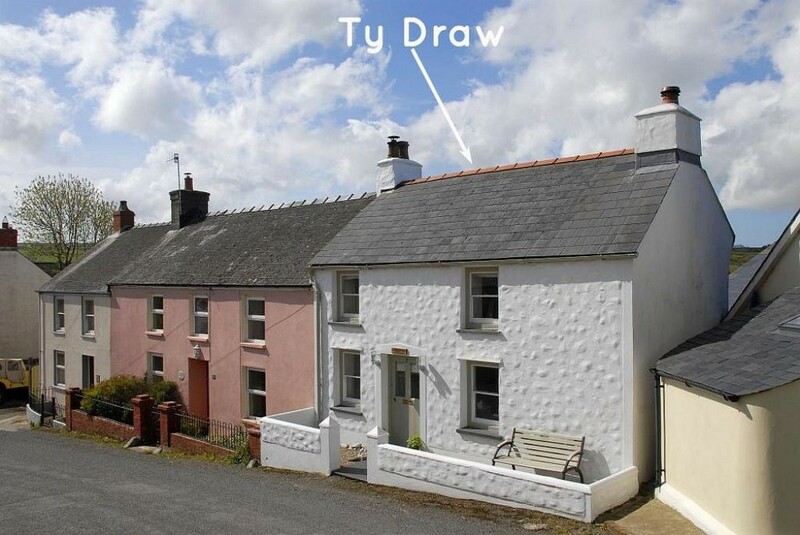 Ty Draw is in the village of Trefin, a traditional Pembrokeshire stone cottage sympathetically renovated to a high standard with exposed beams and slate flooring. 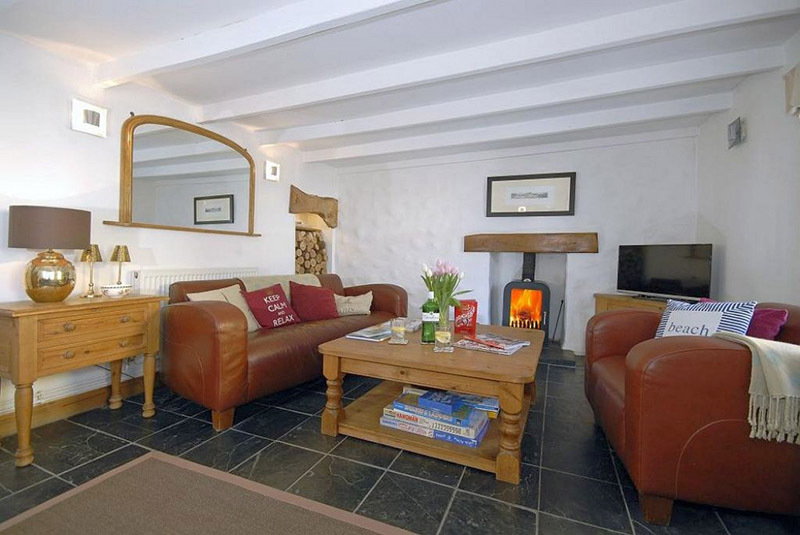 The front door enters directly into the lounge where there is a log burner, comfortable leather sofas, TV, DVD and CD / iPod player. 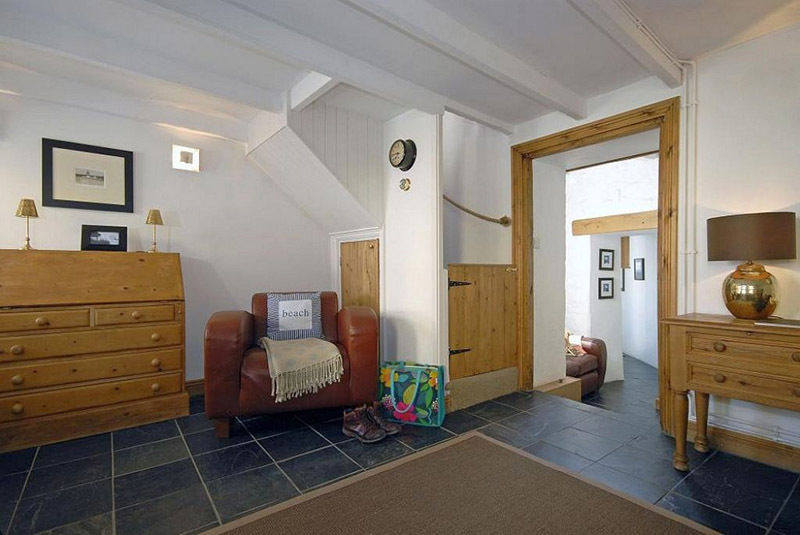 A steep staircase takes you up to the two bedrooms (sleeping up to 3 adults + child or 2 adults + 2 children) – a double room and a small single with full size 3′ single bed with pull out mattress for a child. 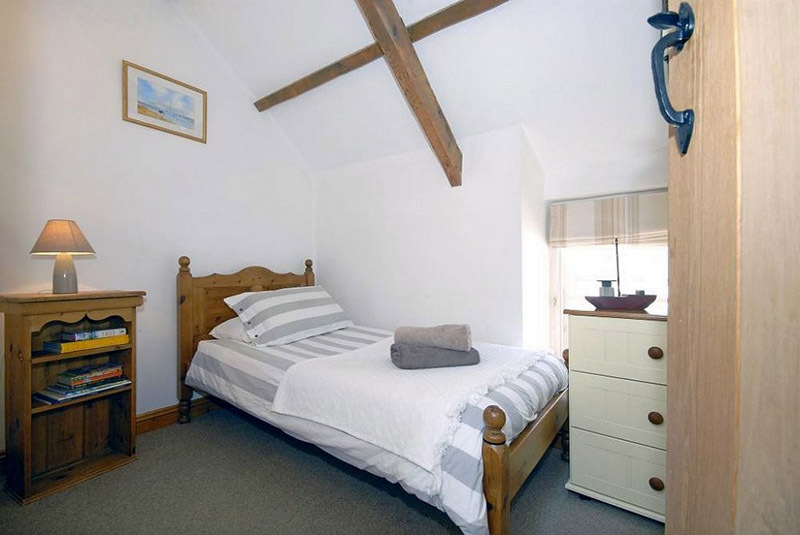 Both rooms delightfully furnished. 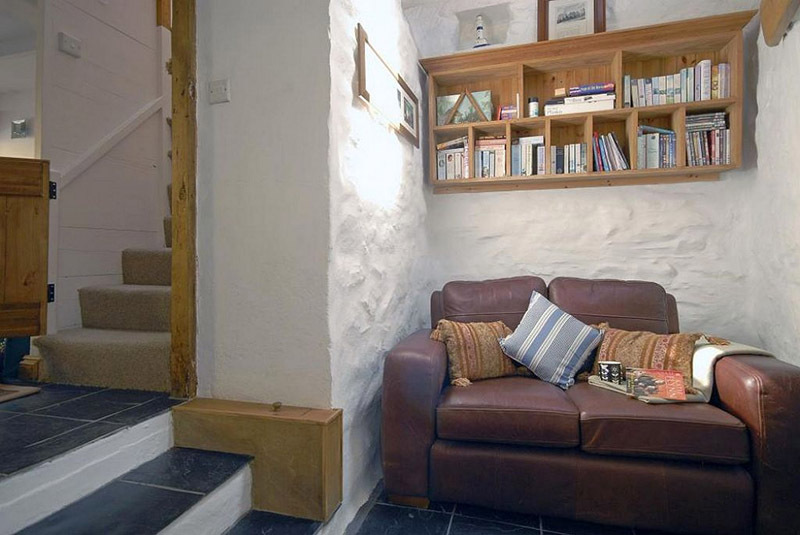 Back onto the ground floor there is a small snug off the lounge with sofa, DVD, books and games, an ideal play area for children. 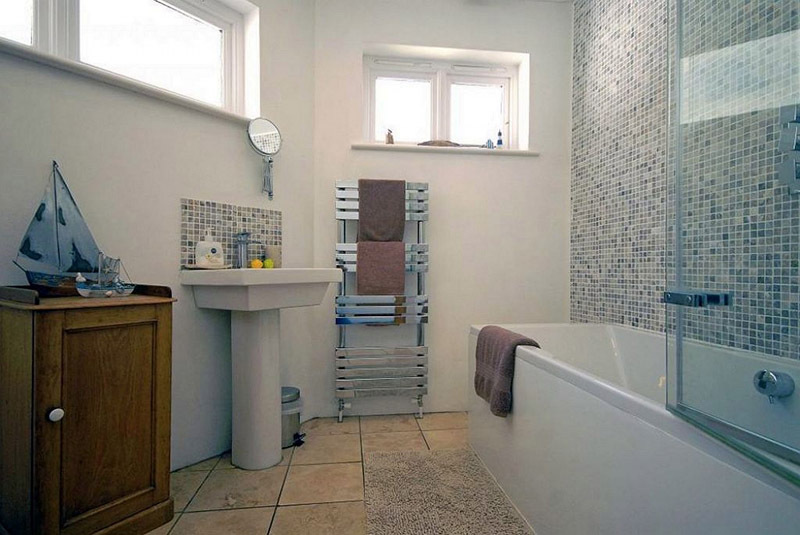 The new extension at the rear of the cottage provides a family bathroom with shower over bath. 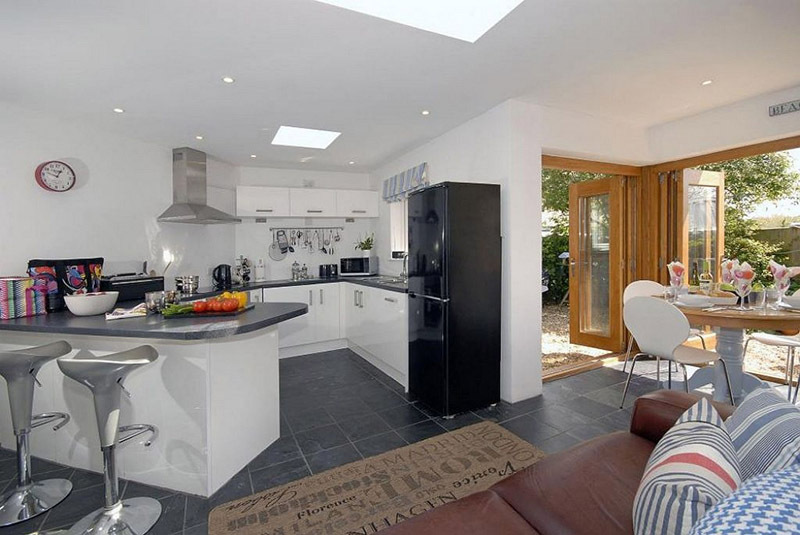 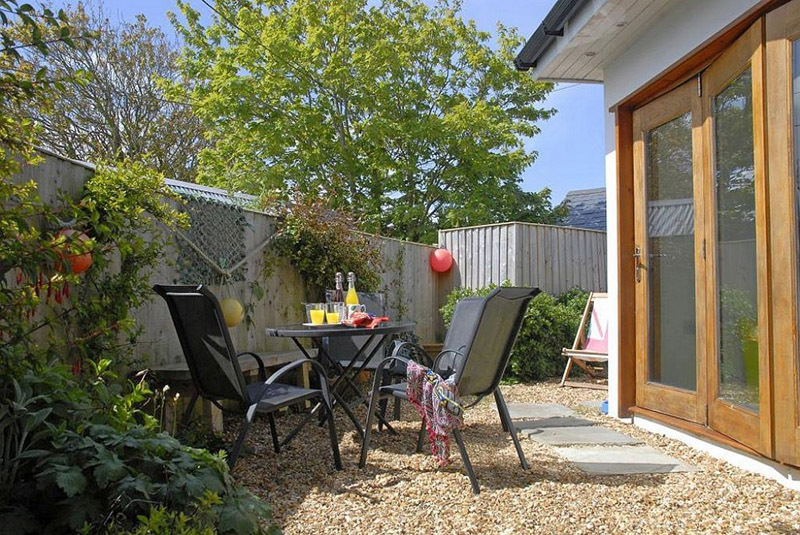 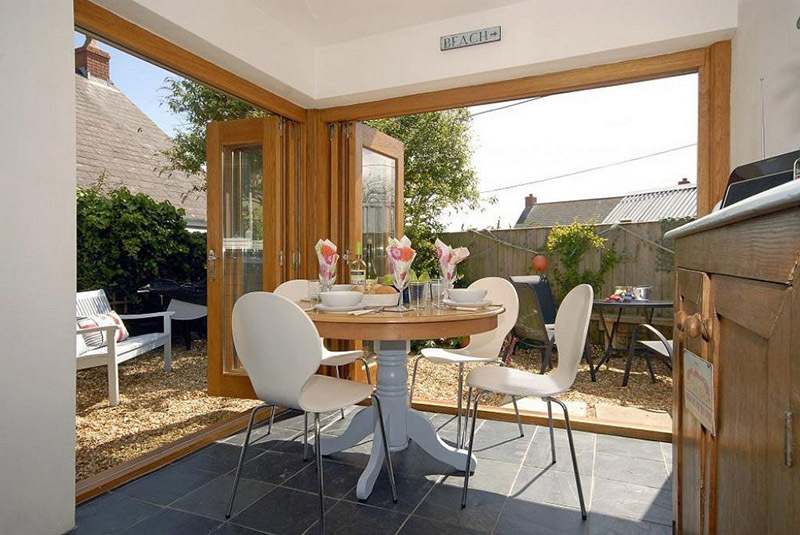 The fully equipped kitchen/dining area has electric cooker, dishwasher, washing machine, microwave and dining table and sofa looking out to the small gravelled, fully enclosed private garden (ideal for dogs and safe for children) with outdoor furniture. 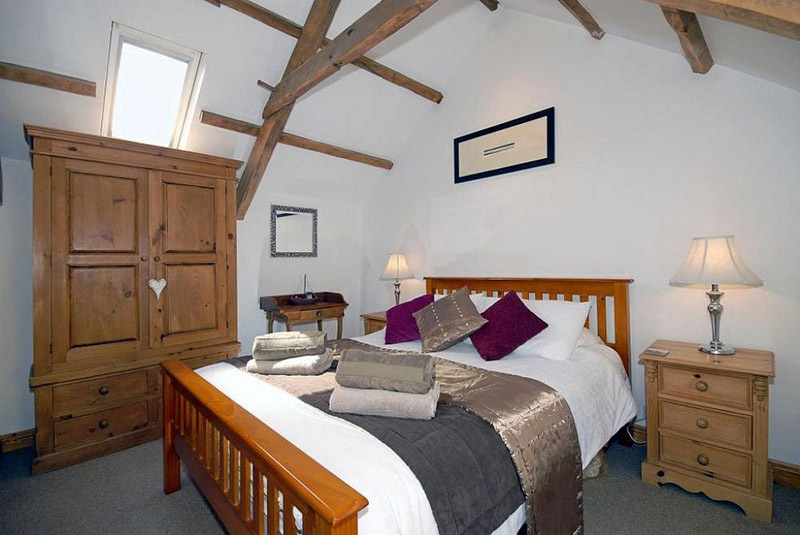 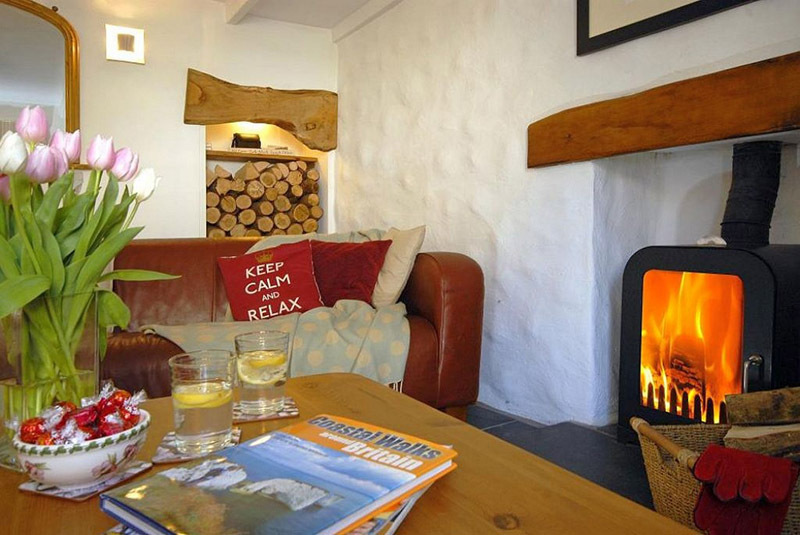 Oil-fired central heating throughout making this an ideal cottage any time of the year.